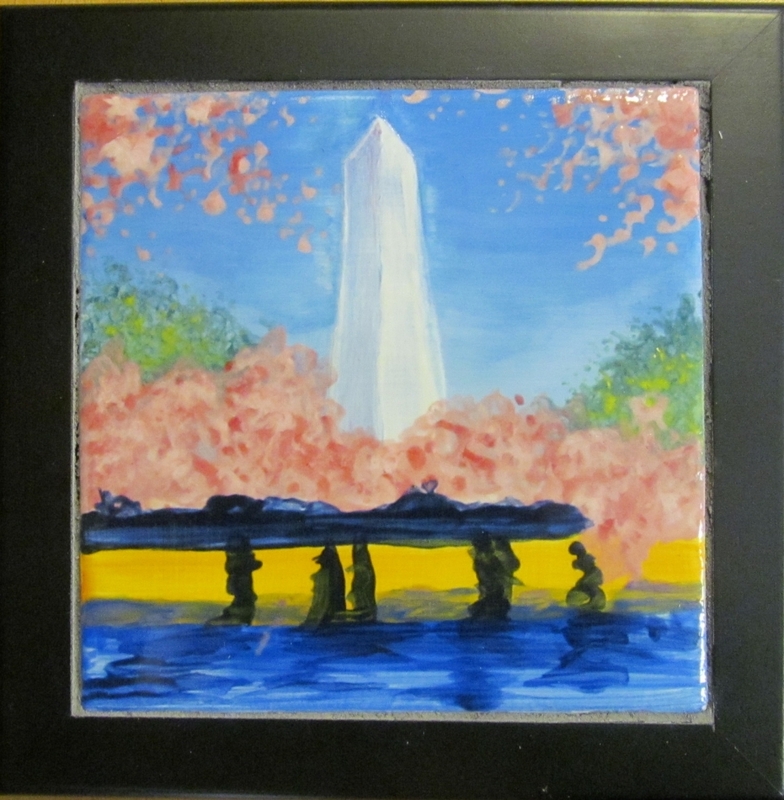 In this fun two-hour class students will learn and use ceramic surface decoration techniques on a 6″ square bisqued tile that has been lightly pre-sketched with the Cherry Blossom DC image. You leave your glazed tile at VisArts and ater the tile is fired, VisArts staff will expoxy and grout the tile into a wooden frame that makes the masterpiece suitable for hanging as a work of art or being used as a trivet. Our experienced ceramics instructors will show easy to master techniques and will provide qa finished sample for inspiration. Your masterpiece will be ready to pick up 10 business days after class.